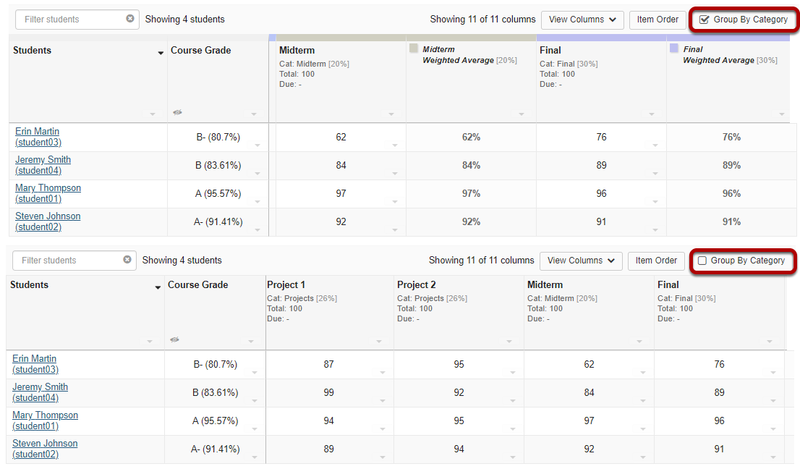 Sakai Community DocumentationSakai 19 User Guide (English) GradebookHow can instructors customize their Gradebook display? 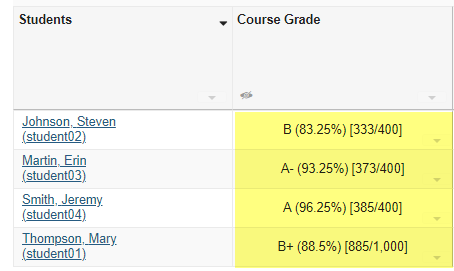 Note: These display changes do not affect the student view of Gradebook. For information about the student view, see: How do students view their grades in the Gradebook? To sort the list by grade for specific grade item, click on the title of the item. Click again on the same item title to reverse the sort order. 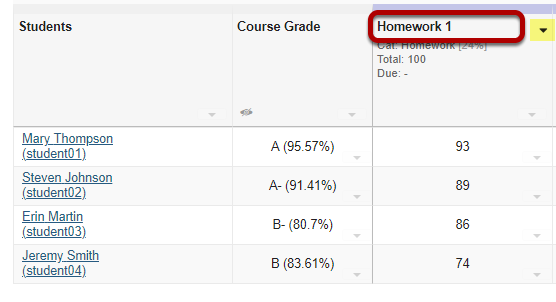 Next: What actions can instructors perform on individual gradebook items?